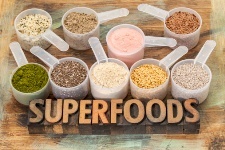 A lot has been written about superfoods. These foods are so full of healthy nutrients that they seem to possess superpowers when it comes to treating and preventing common diseases. Today’s ehealth isn’t exactly about a superfood. It’s about a superherb called arjuna. In Hindu mythology, Arjuna was considered the best archer and a skilled warrior. The word arjuna means “silver” or “bright.” All of these qualities also seem to be embodied in the herb as well. Arjuna is a bright light in the fight against disease. Arjuna exerts its healing effect due to the presence of naturally occurring tannins, polyphenols, glycosides, and flavonoids. Let’s take a closer look at these substances in a little more detail to determine how they could help you achieve better health. Arjuna contains about 44% polyphenols. Polyphenols are antioxidants that protect against cell damage. Scientists think polyphenols accomplish this by boosting signaling between cells. Every cell in your body needs to communicate and coordinate all the actions it wishes to perform. You might not realize it, but your cells have a complex communication system running day and night. When your cells can efficiently process information, they can get to work repairing damaged parts of cells, growing new cells, and building your immune system. When cells can’t communicate and signal properly, information gets processed incorrectly and disease is the result. Polyphenols help protect your cell signaling system and since arjuna happens to be 44% polyphenols, it’s an excellent candidate to step into this role. One recent study compared the effectiveness of arjuna against that of vitamin E—a much more well-known and popular antioxidant here in North America. For the clinical trial, 105 patients with heart disease were divided into three groups. One group received placebo capsules, one vitamin E caps, while the third was given arjuna tree bark powder in capsules. The placebo group and the vitamin E group showed no changes in high-density lipoprotein (HDL) or low-density lipoprotein (LDL) cholesterol. However, the arjuna group showed a significant drop in total cholesterol levels as well as LDL cholesterol. Arjuna showed it was capable of exerting a beneficial effect in terms of heart health. Arjuna could play a role in cancer prevention and treatment as well. Researchers at Arizona State University found that the herb contained a number of active components that have anti-cancer effects. These substances include gallic acid, ethyl gallate and luteolin. This last one, the researchers say, has been shown in other studies to prevent the growth of different cancer cell types. How do you find arjuna if you want to give this herbal extract a try? Look for it in capsule form at your local pharmacy. Sometimes this herb is combined with other herbs known in Ayurvedic medicine to protect and heal the heart. Chances are, if you pick up a bottle of an Ayurvedic Heart Formula, arjuna will be listed on the ingredients list. Pettit, G.R., et al., “Antineoplastic agents 338. The cancer cell growth inhibitory. Constituents of Terminalia arjuna (Combretaceae),” J Ethnopharmacol. August 1996; 53(2): 57-63. Nammi, S., et al., “Possible mechanisms of hypotension produced 70% alcoholic extract of Terminalia arjuna (L.) in anaesthetized dogs,” BMC Complement Altern Med 2003; 3: 5.